The triple sec and lime help balance out the cranberry then the champagne adds just the perfect amount of festive punch for a simple and delightful holiday cocktail. Enjoy! Yes! That would be fabulous! 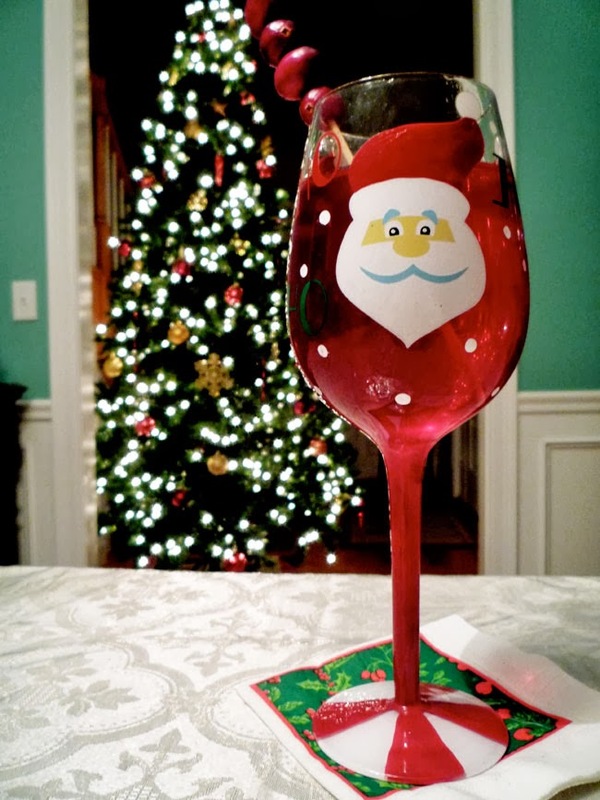 Your glass is so cute and festive! I love champagne mixed drinks, this would be perfect for the holiday party I'm going to this weekend! This sounds perfect for my Christmas party this weekend! Oh that sounds delish, I'd love to have this at my Xmas party! Oh, this sounds delightful! I'm all about anything Cranberry!